To encourage safe operation of your pressure canner in the coming spring and summertime, clean the vent and safety valve. To do this, pull a clean string or narrow strip of cloth through the opening of the vent. Make sure the safety valve is free of debris and moves smoothly, and then remove it for cleaning (or follow manufacturer’s directions). Next, check the gasket, if your canner has one (some are metal to metal instead). The gasket is the rubber or rubber-like ring that helps seal the rim with the lid. Follow manufacturer’s instructions to remove the gasket for cleaning, and if it needs replacing then you should easily find a new one from the manufacturer or at a hardware store. Once again, follow your particular manufacturer’s directions for how to care for the sealing edges of your canner. If you have a dial gauge canner, be sure not to immerse the gauge in water. If you have an aluminum canner and the inner surface is darkened, clean it by filling it above the darkened line with a mixture of 1 tablespoon cream of tartar to each quart of water. Heat the water to a boil and boil, covered, until the dark deposits disappear. Stubborn deposits may require additional cream of tartar. 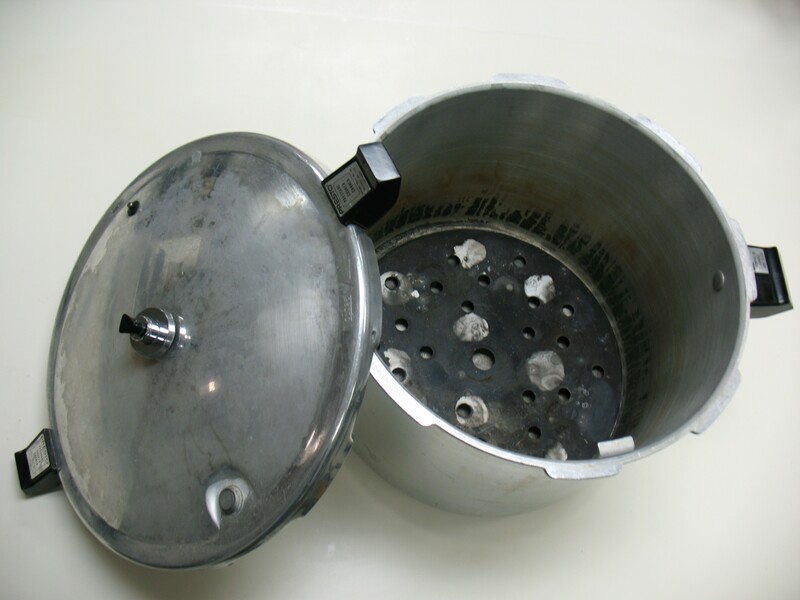 Once deposits are gone, empty the canner, wash it with hot soapy water, rinse, and dry. A hint for reducing the occurrence of these deposits next canning season: add 1 tablespoon of white vinegar to the water in the canner while you process jars. 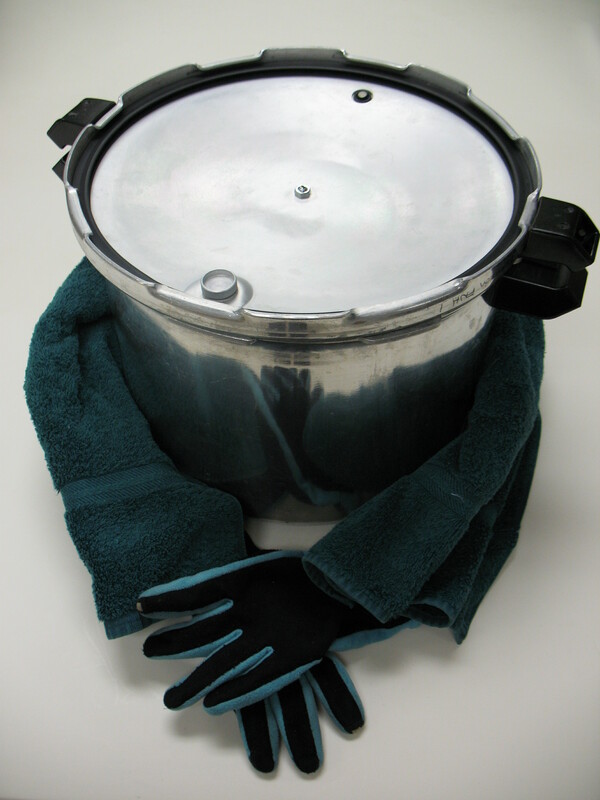 To absorb moisture and odors, store the canner with clean paper towels in the bottom and around the rack. Rest the lid on the canner upside-down, so that it does not seal and trap moisture. Designate a clean, dry storage area and use boxes, racks, or other organizational accessories to create a food preservation storage center to which you can also add other cleaned equipment and utensils. Inventory your jars, checking for chips and breaks. Wash and dry jars and remove any ring bands that may be screwed onto the jars. Wash and dry the ring bands as well, checking for dents and rust. If cared for properly, jars have the potential to last indefinitely, and bands can be used over and over until they rust or get bent. Remember though that flat lids are to be processed in a canner only one time, then discarded (or used creatively for non-canning purposes) after that jar of food is consumed. Remember too, if you have a dial gauge pressure canner, to mark your calendar now for a time to have your gauge tested in the early spring. Contact your County Extension Agent for information about checking its accuracy. In case it is off by more than 1 pound of pressure, allow enough time to replace the gauge by checking it well in advance of your canning season. 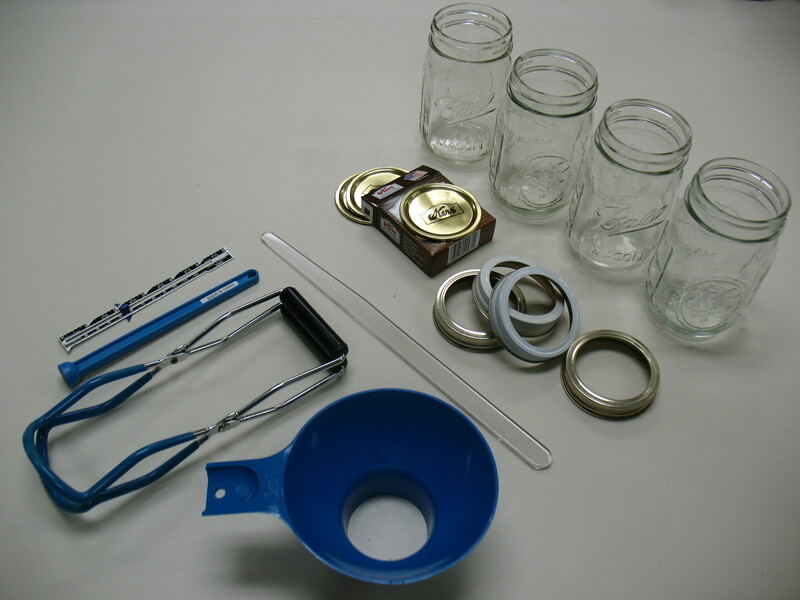 Time to Store Canning Supplies… on the National Center for Home Food Preservation website. This entry was posted in Canning and tagged canning in winter, storing equipment on January 8, 2013 by nchfp. I have started reusing my lids and have not had any problems. Other countries do this all the time. As long as the rubber is not dry or cracked and the lid is unbent it is fine. I assume you are talking about the two-piece metal lid system that has a plastisol sealing compound around the edges of the flat lid. While you may get lucky any number of times following this practice of re-using them, we will continue to recommend the manufacturer’s directions for best performance of canning lids. Every time an impression is made into the gasket, the chances of it not re-sealing do increase. Also, different tightening practices by people and different types of processing (i.e., pressure vs. boiling water) will result in different depths of the impression. We do not want to make a recommendation that can result in someone not having jars seal because they re-use the lid too many times nor that goes against manufacturer’s instructions. Of course you are welcome to take that chance for yourself if you have success. Yes, that is the type of lid I am reusing and I pressure can almost all my food. I do occasionally have a seal failure which may be due to reusing the lid or may be caused by other reasons. Doesn’t happen very often though.